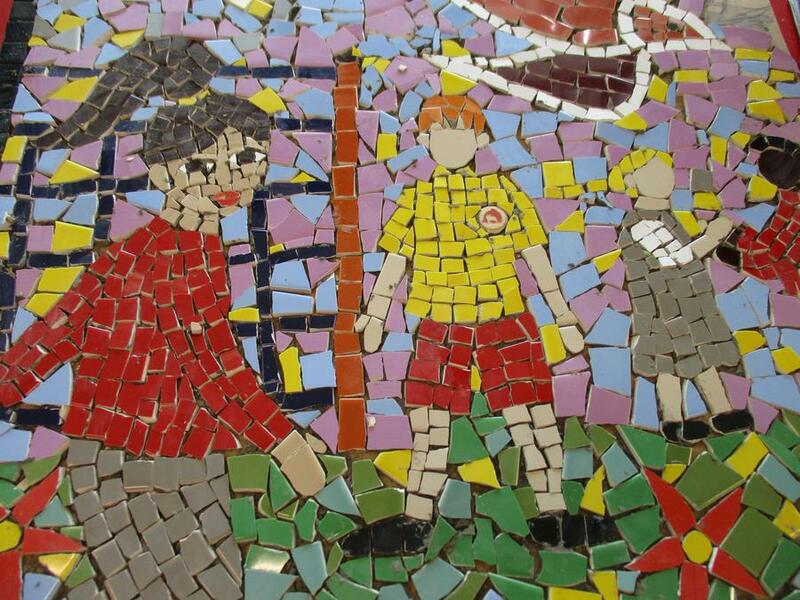 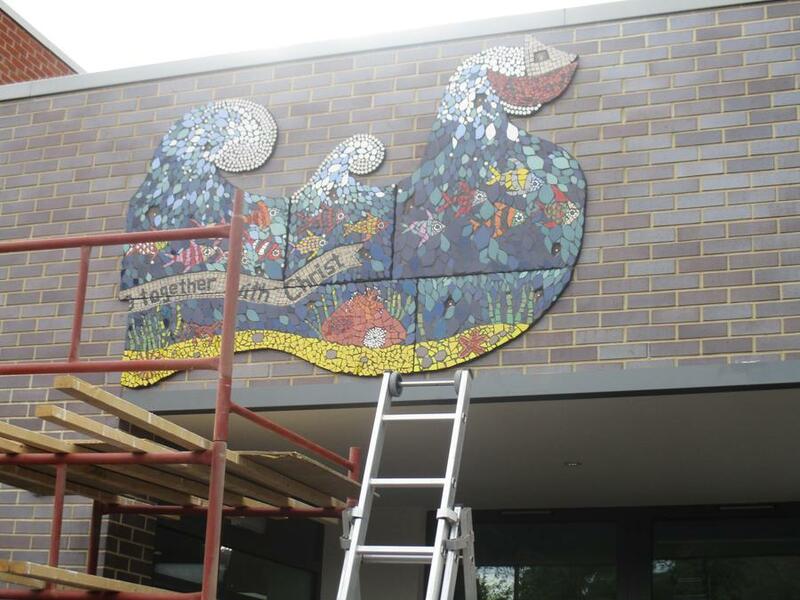 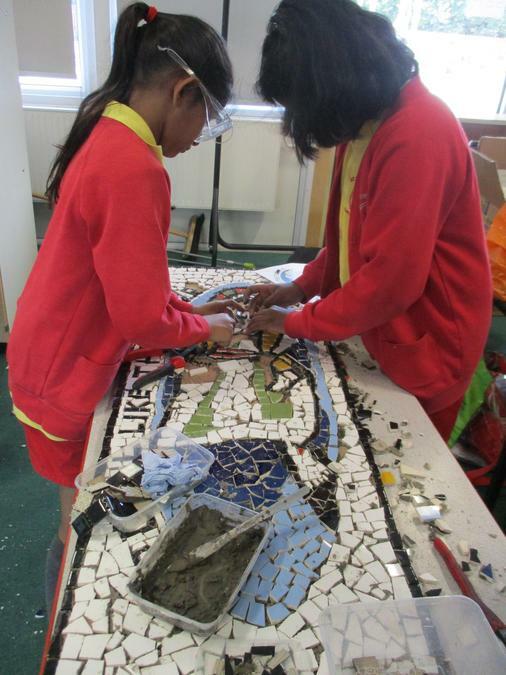 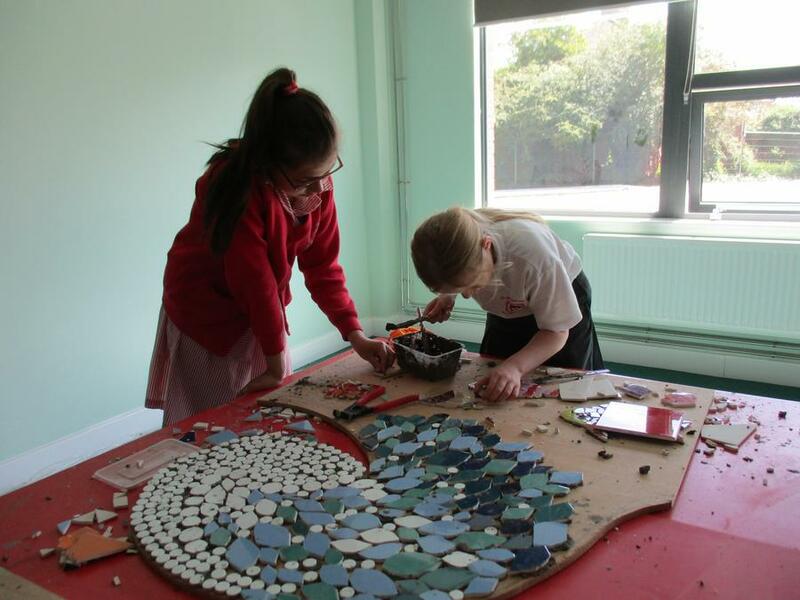 Nina Gebauer, a community artist, worked with groups of children and staff to plan and design a mosaic for our new entrance. 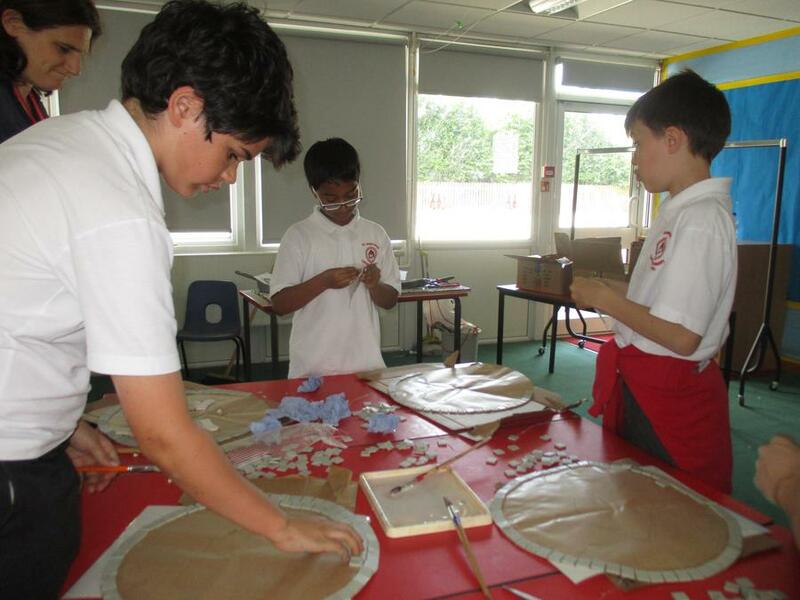 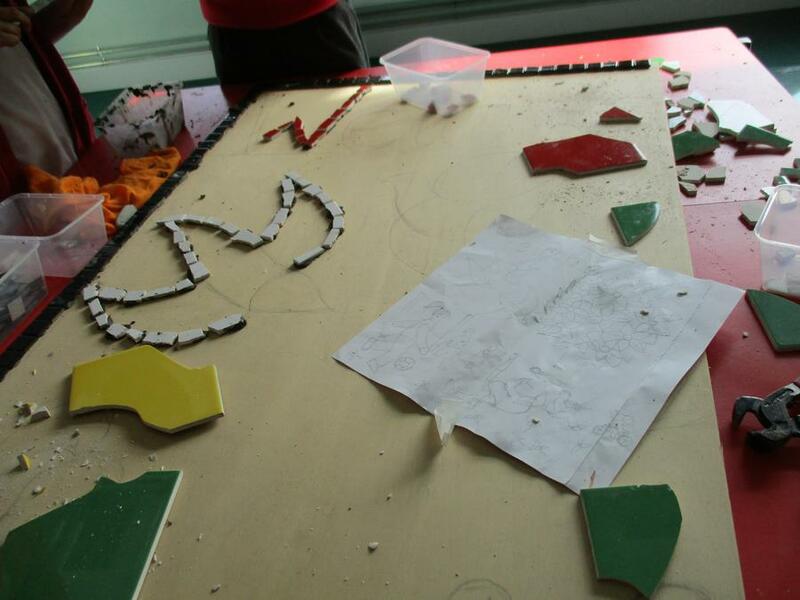 The groups contributed their ideas to the design that they felt represented our school. 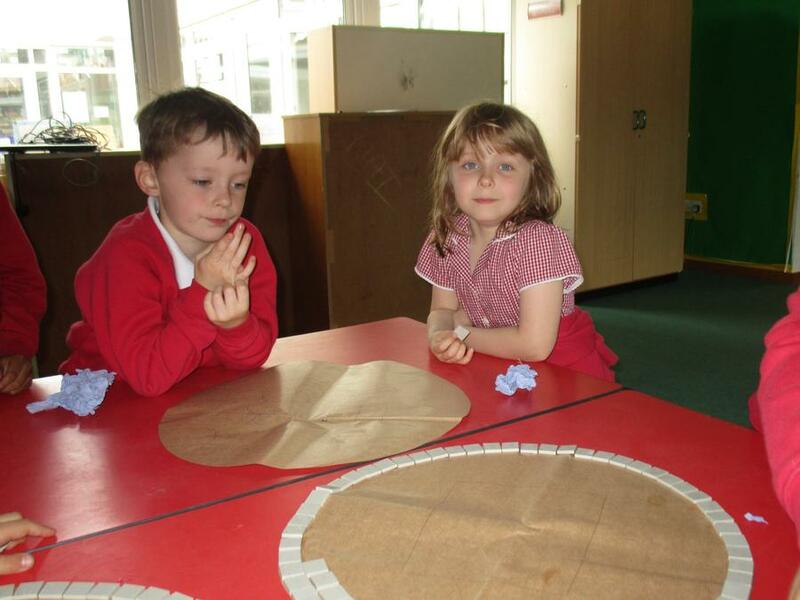 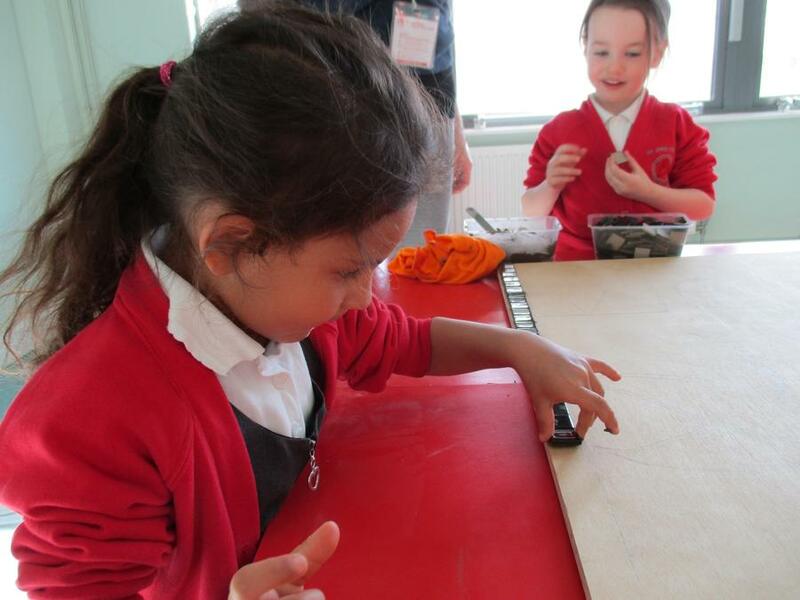 Reception had the honour of being the first group to lay the tiles. 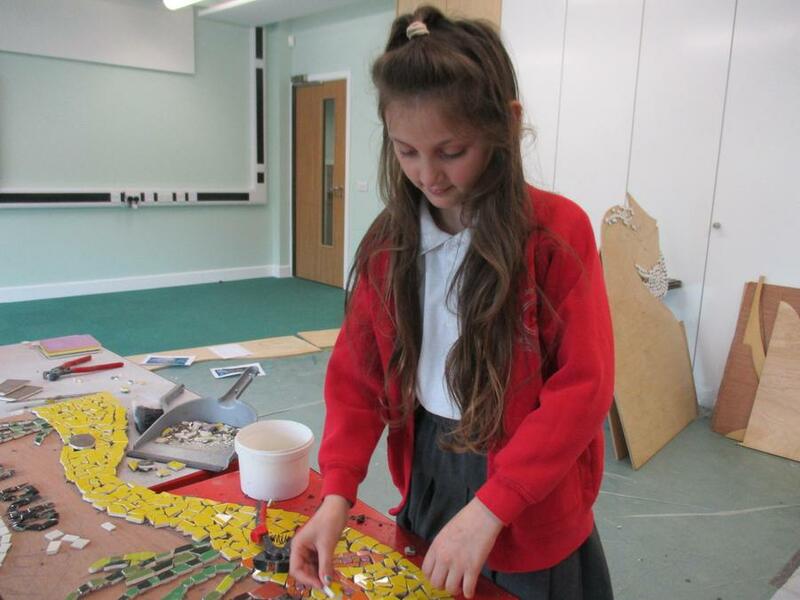 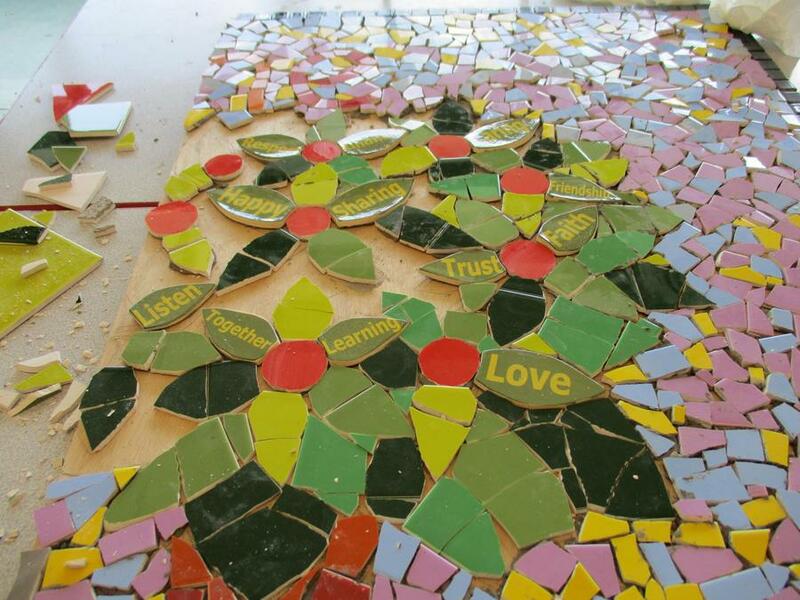 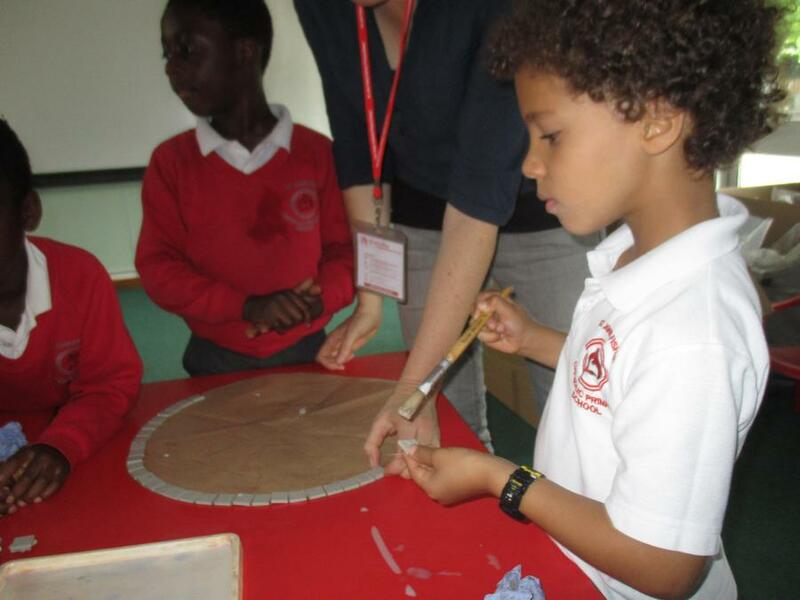 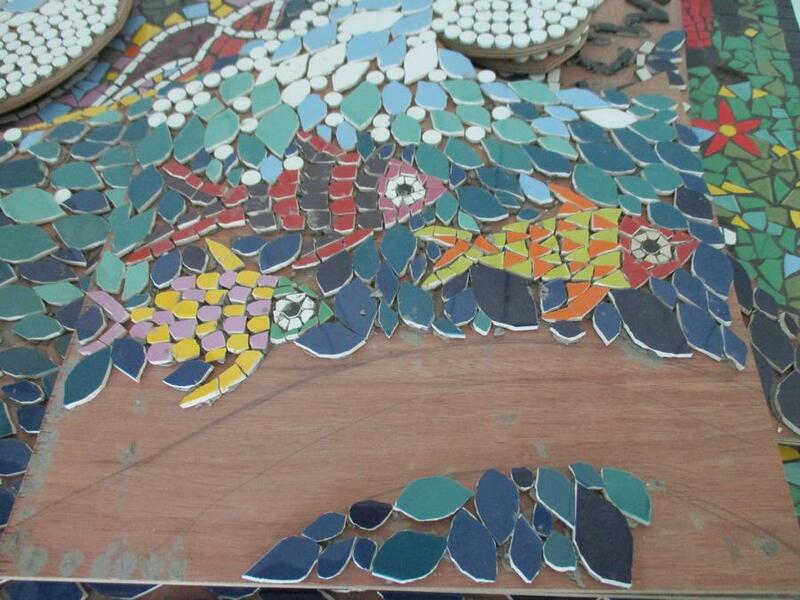 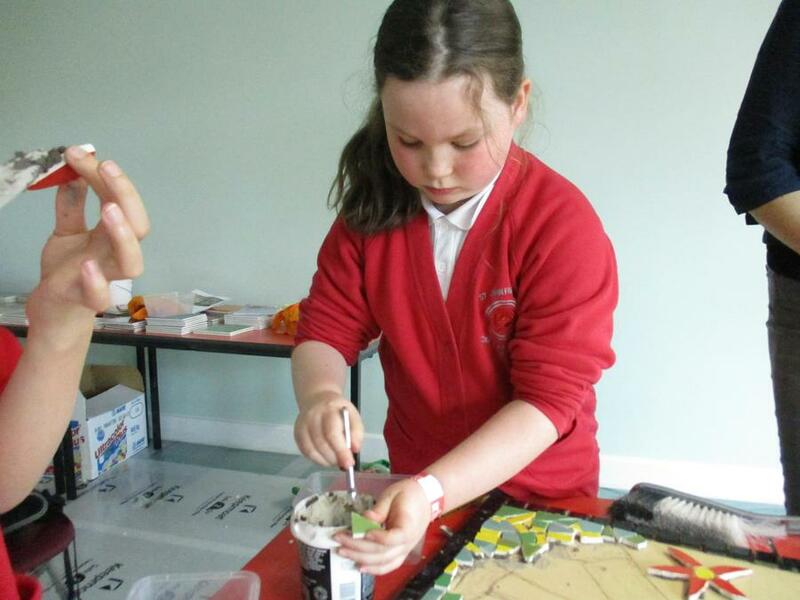 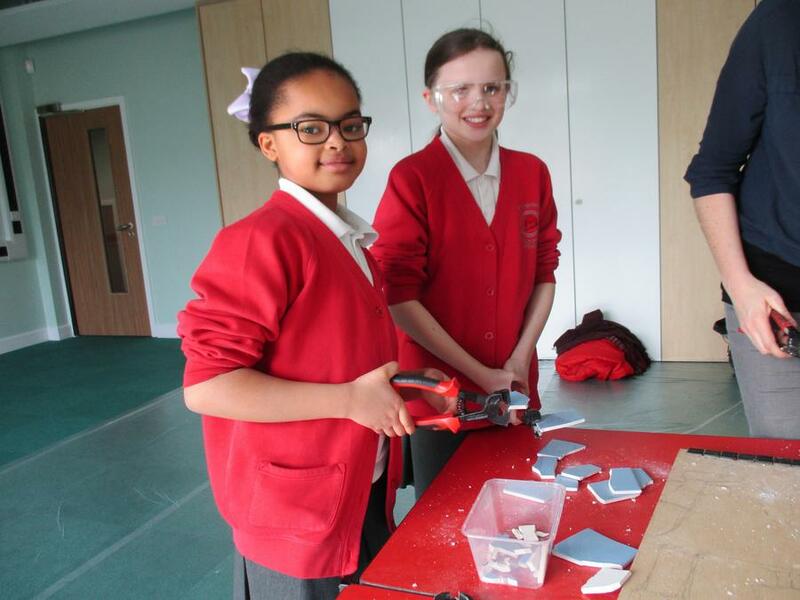 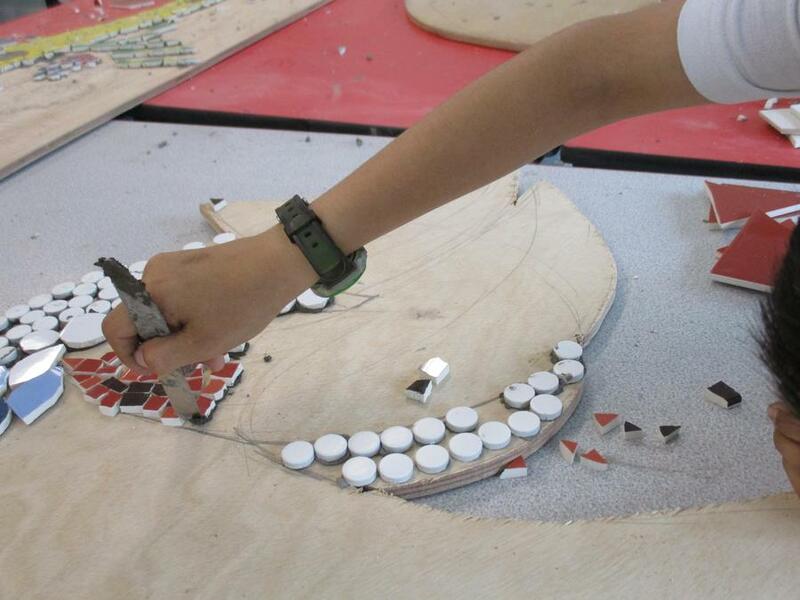 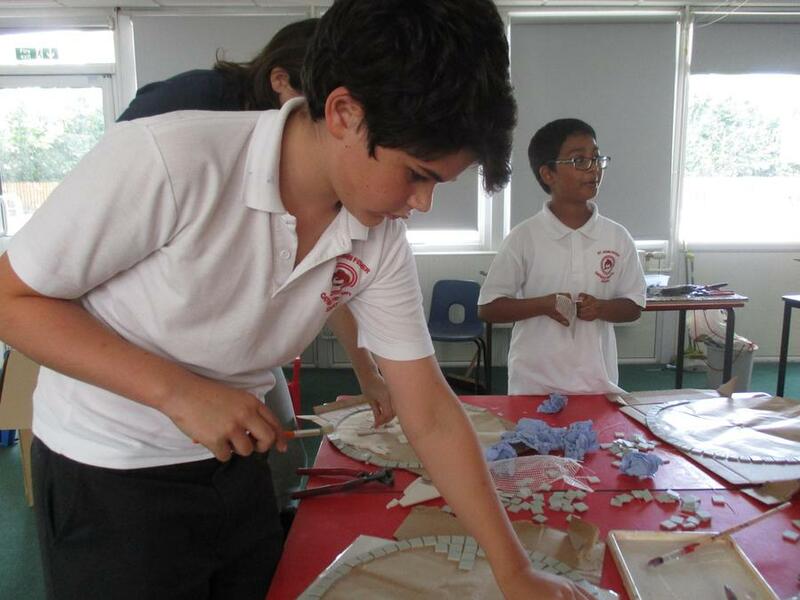 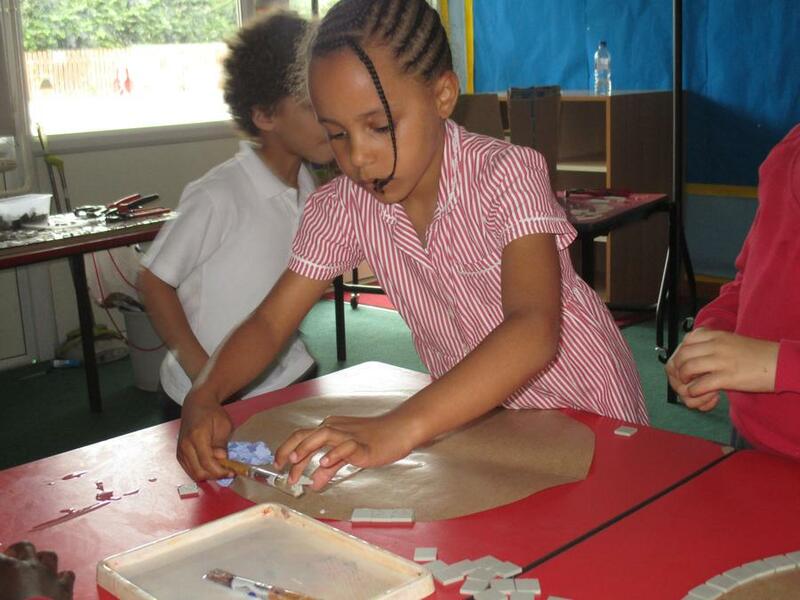 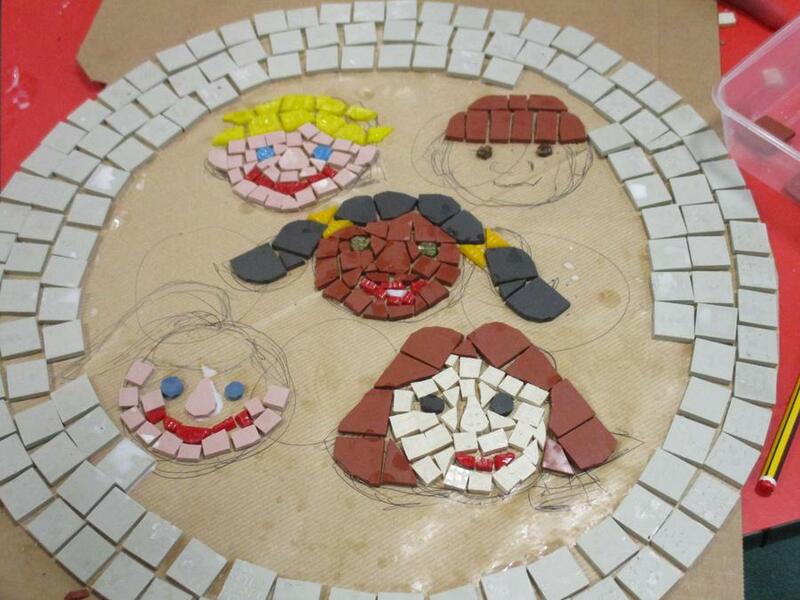 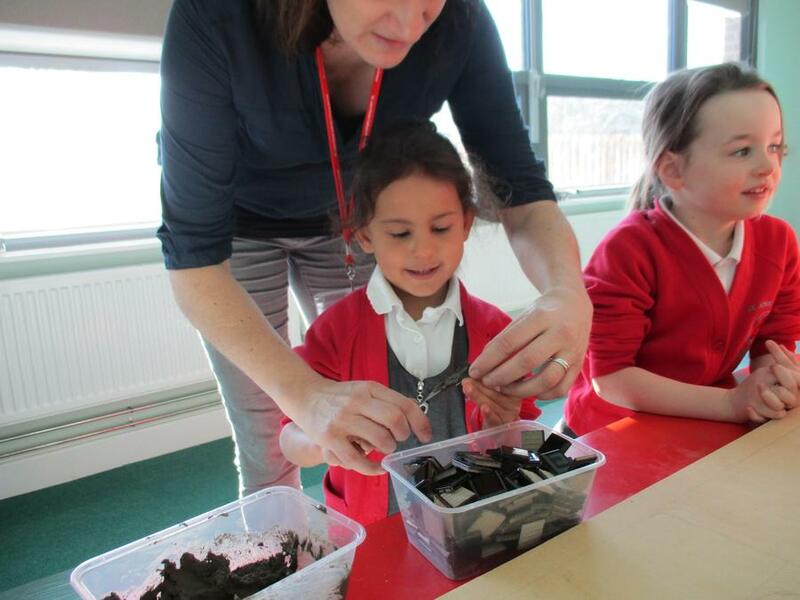 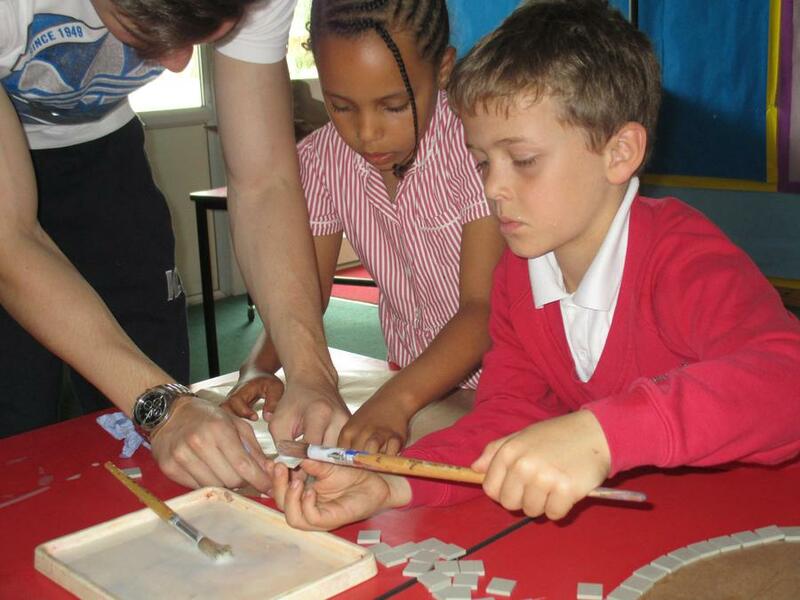 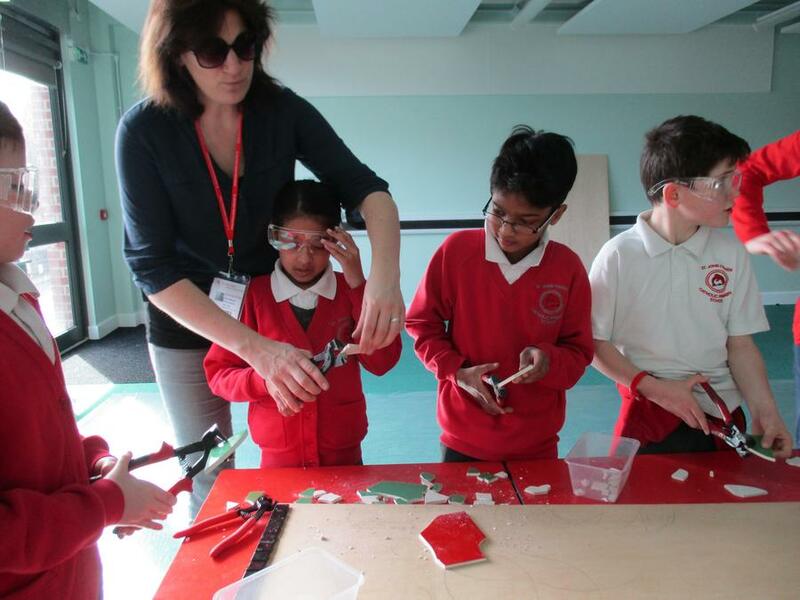 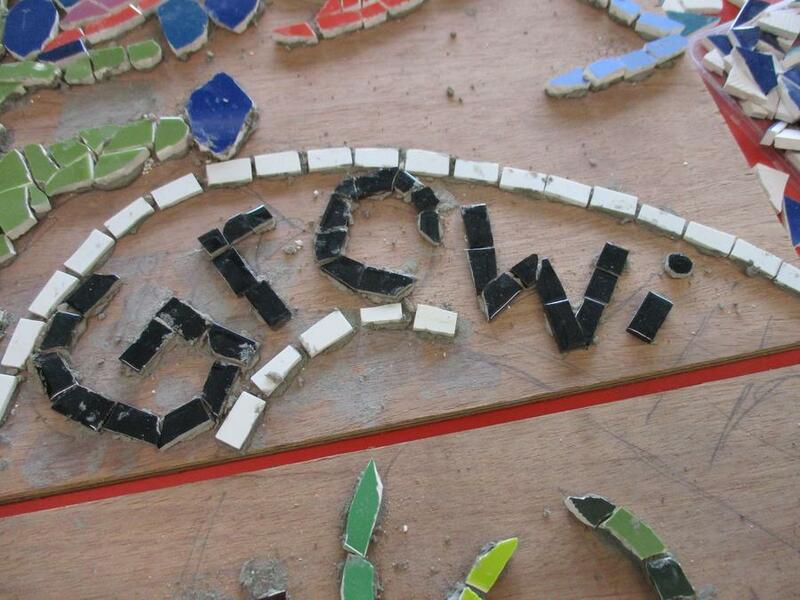 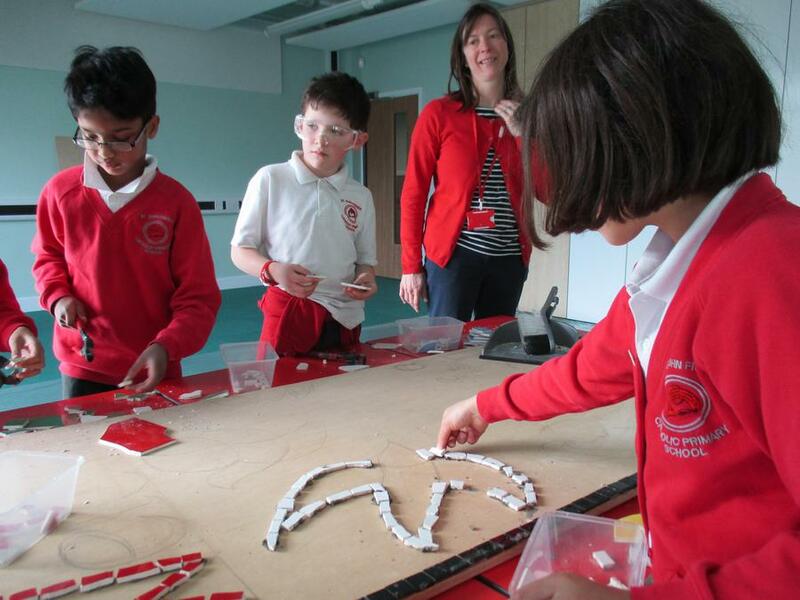 Nina worked with small groups of children to cut and lay the tiles. 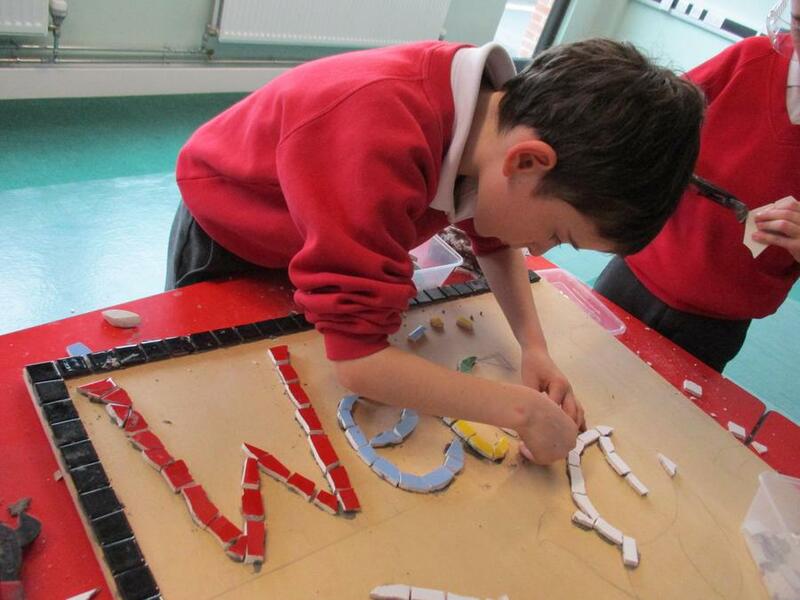 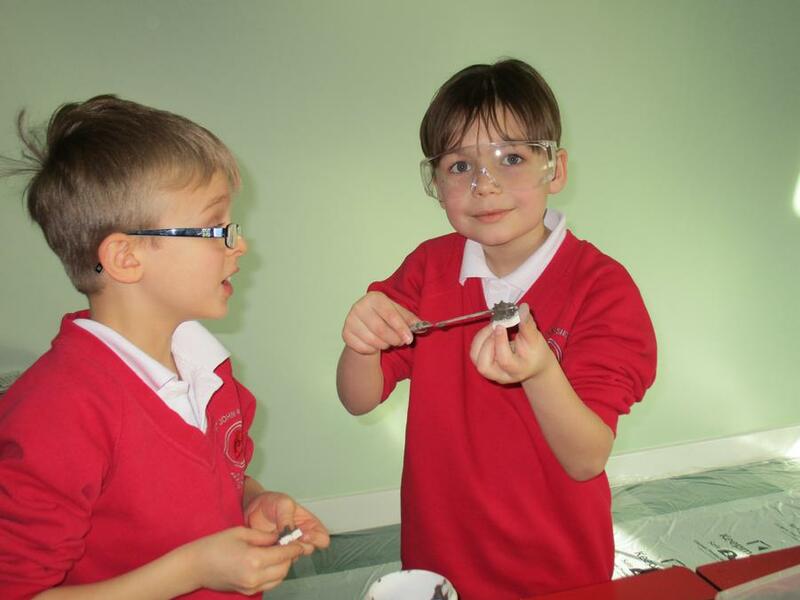 It was a wonderful opportunity for the children to be involved in creating something that will be a permanent part of the school building. 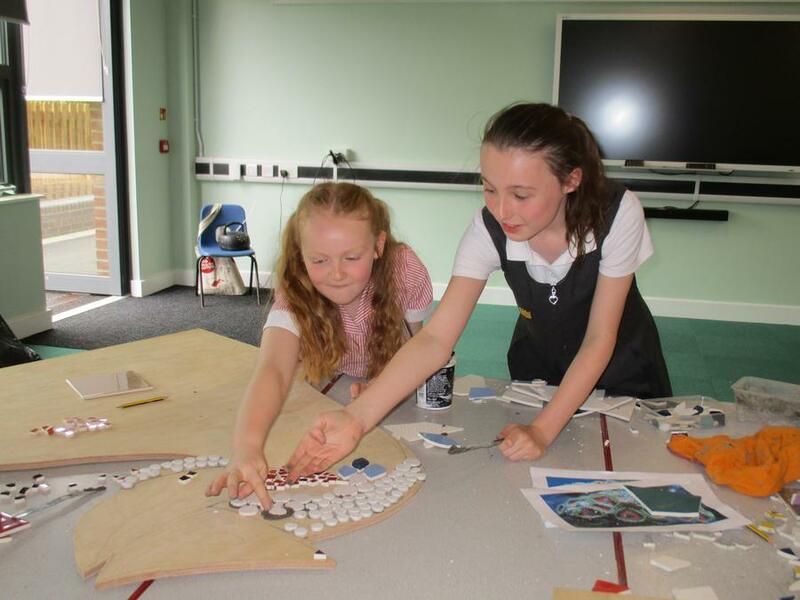 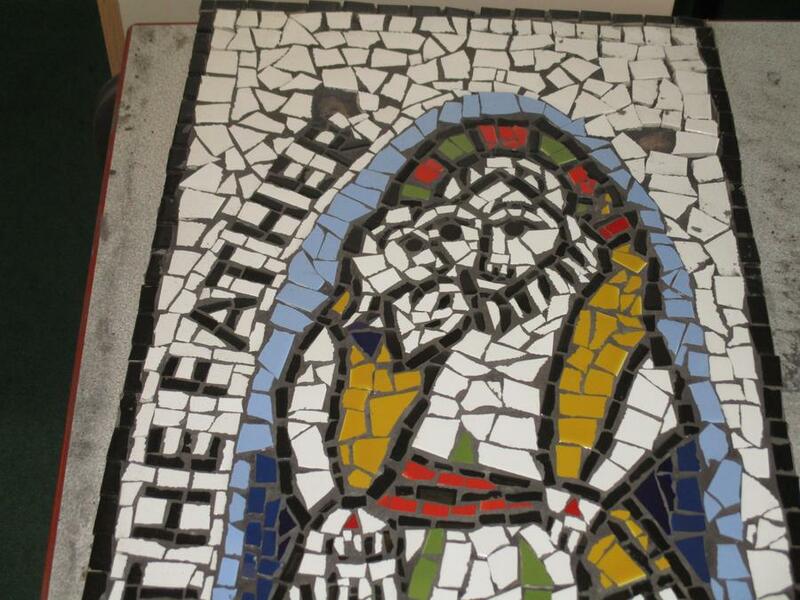 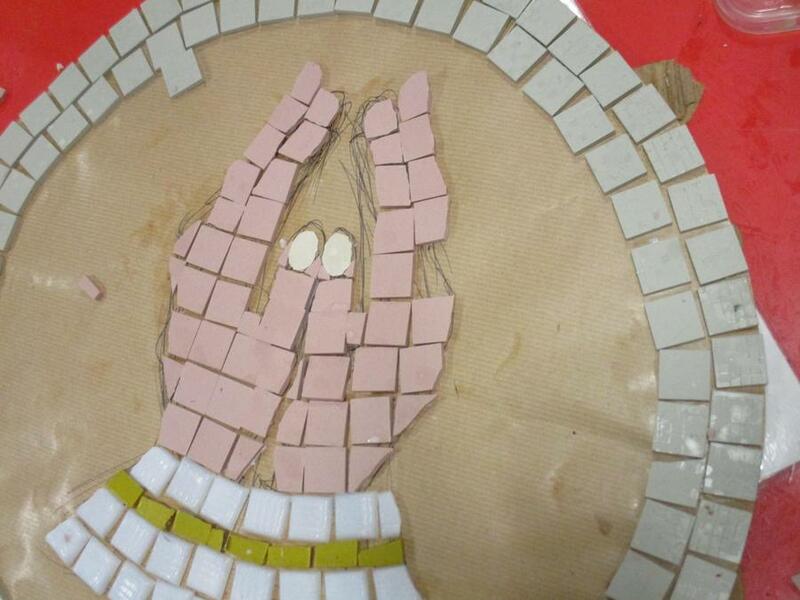 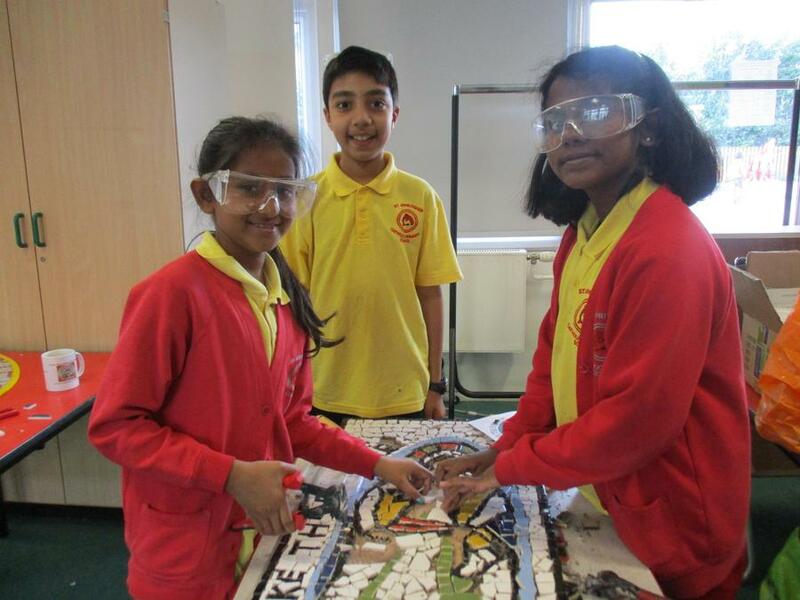 Our completed mosaic was blessed during a Dedication Service by The Cardinal on the Feast of St John Fisher on 22nd June. 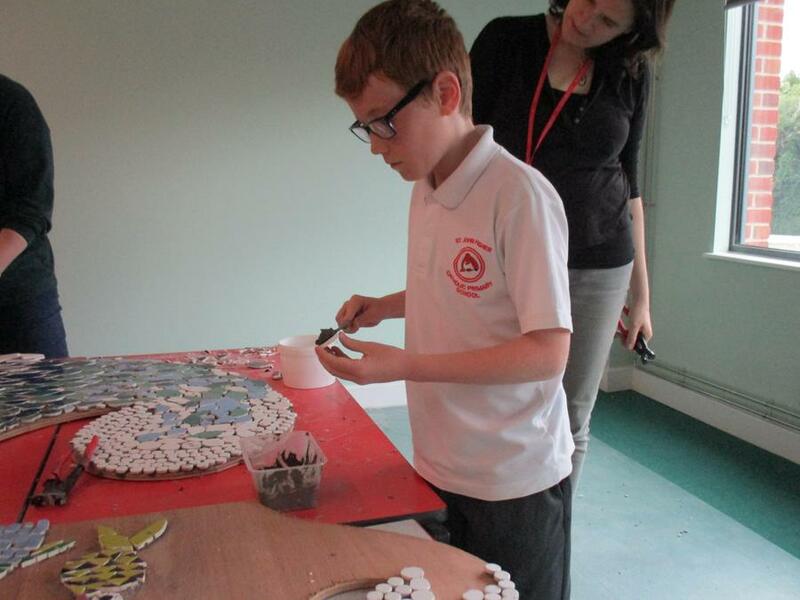 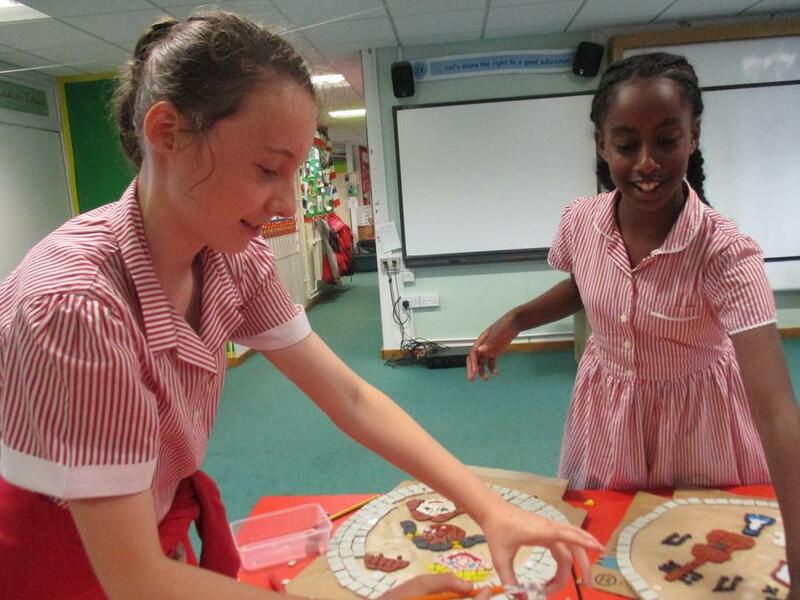 Nina has also worked with the children to create stepping stones and a Holy Door to represent The Year of Mercy. 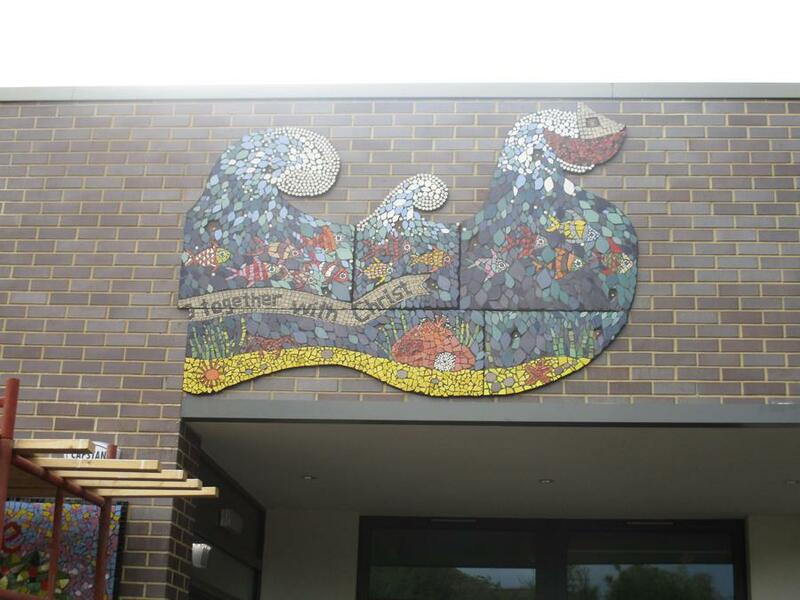 These will be fitted around the new school entrance over the summer. 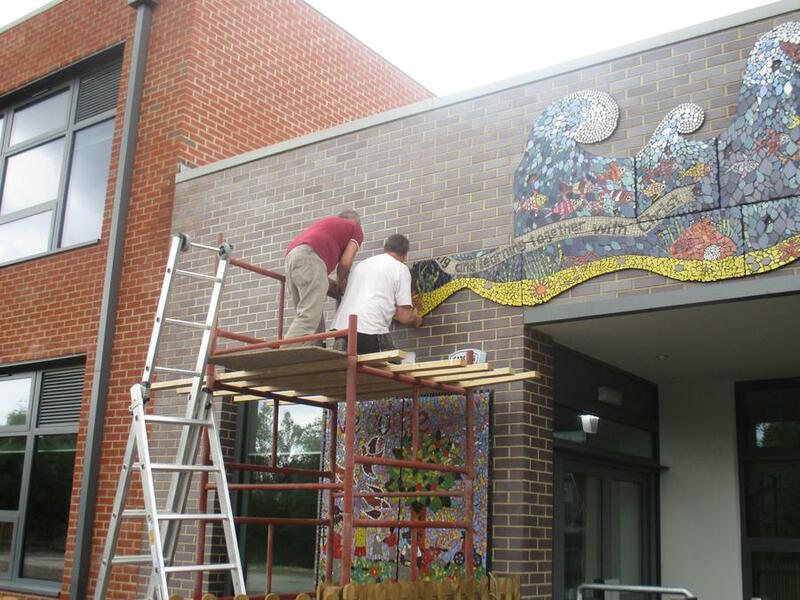 All the staff and children have been involved in this wonderful project. 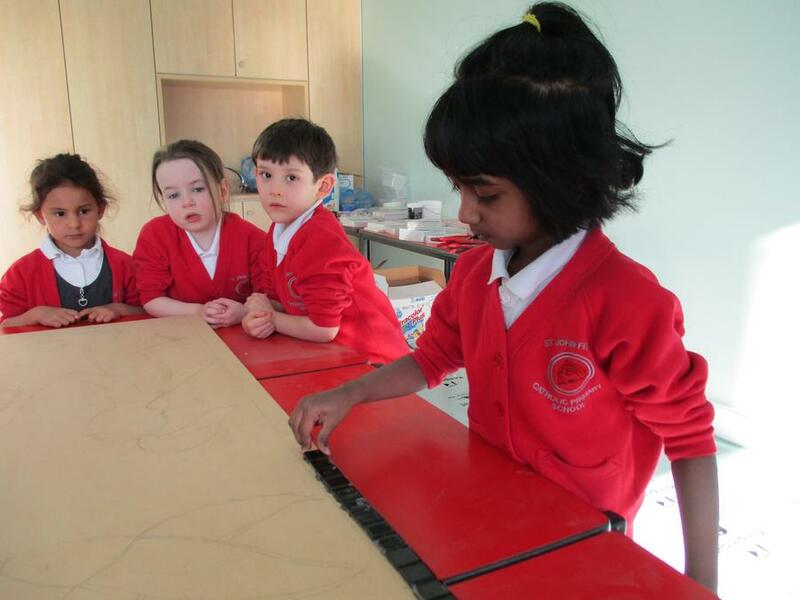 We would like to thank Nina for supporting us throughout this creative process. 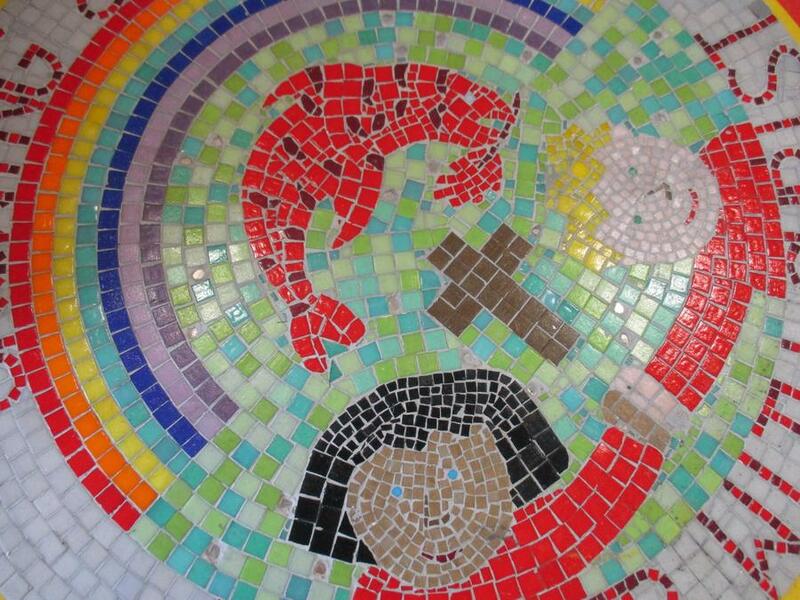 The mosaics are truly beautiful!